Items can be brought to church and placed in the shopping cart in the narthex. 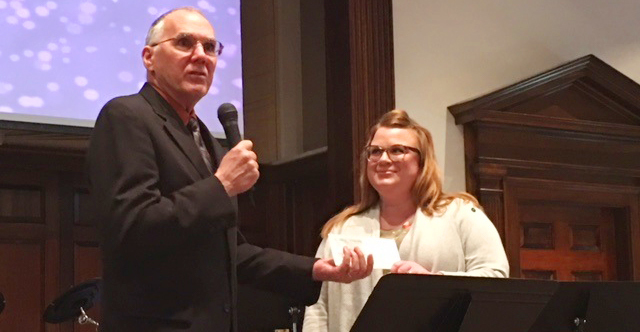 The Evangelism and Servant Ministry (ESM) team connects the congregation with the community, promotes opportunities for witnessing through service and missions work, and we have a little fun doing it along the way. We help promote the work of Christ-based organizations such as Bible2School, GAIN, COBYS, and the Manheim Central Food Pantry. We also support mission work in China, Mexico, and Guatemala . Of course being Church of the Brethren, we have to be involved in food!! We sell milk shakes at the Brethren Disaster Relief Auction at the Lebanon Fairgrounds each September. You can also find us at the Manheim Farm Show selling hot, home-made roast beef sandwiches in October. We also participate in the Manheim Project to help local residents with house/yard work. We simply try to shine the light of Christ on the congregation and the community through actions.